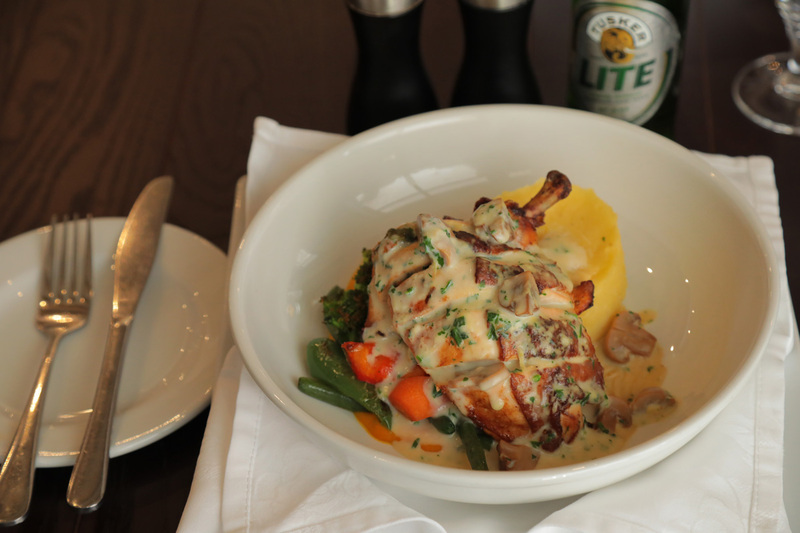 Chicken breast stuffed with spinach, mushrooms and mozzarella cheese served mash potato, melange of vegetables and mushroom sauce. 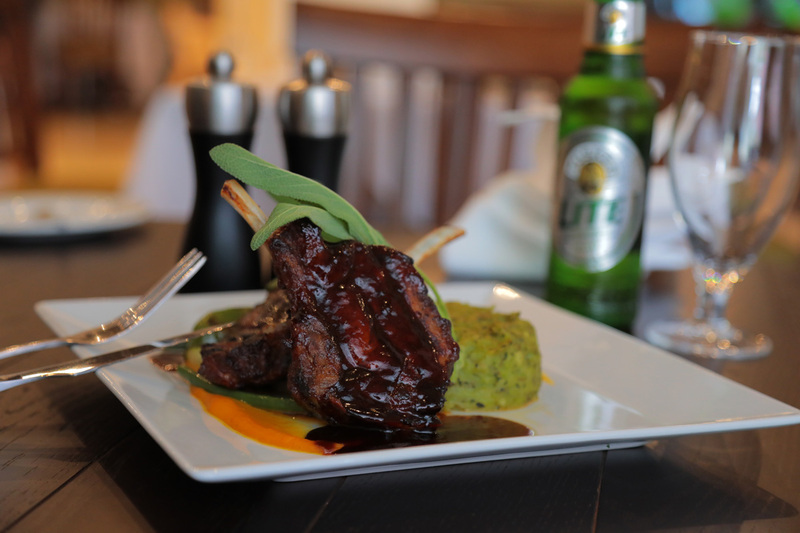 Sage marinated pork chops accompanied by peas mash, sauteed vegetables, apple sauce and citrus marmalade. 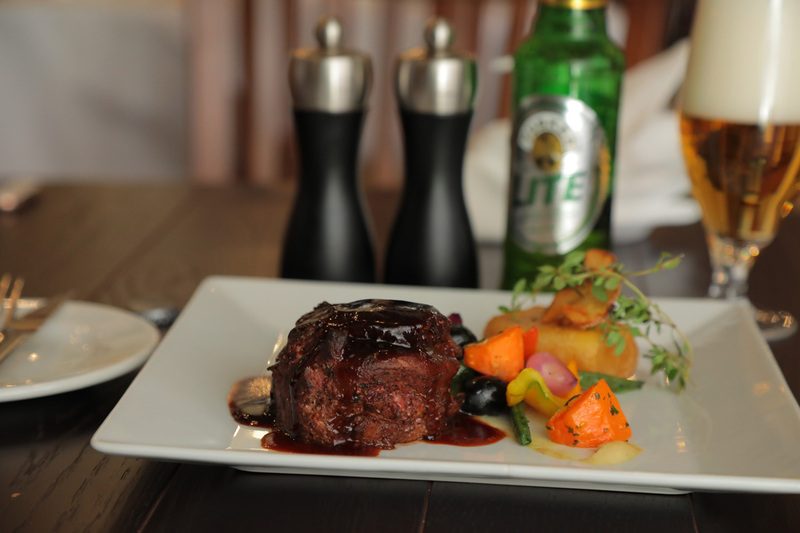 Grilled beef fillet accompanied by potato fondant sauteed nicoise style vegetables and rosemary jus.